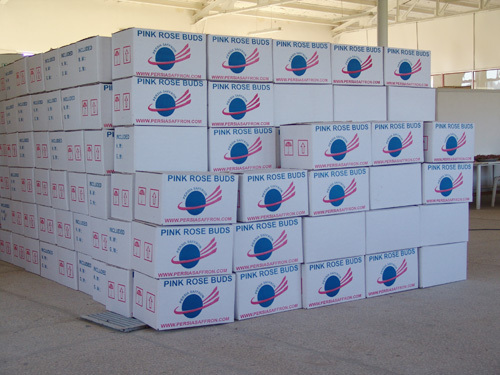 Our sorting and packing facilities have located at the heart of Rose farms in Shiraz. This way we gather the finest quality of the Roses from selected Rose farms. We carefully sort each lot of the Rose buds enter to our facilities by our experienced stuff and storied the hygienic and standard condition. 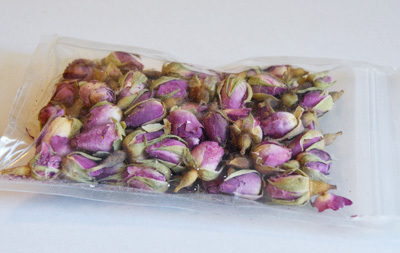 Therefore,we supply the best quality of Rose buds available in Iran throughout the year. Rosa damascene, commonly known as Damask Rose, is known as Flower of Mohammad in Iran. 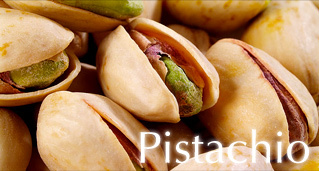 It is one of the most important species of Rosacea family. Rosacea is well- known ornamental plants and has been referred to as the king of flowers. At present time, over 200 Rose species have been identified. Rosa damascene has a light Pink bloom with flowers varying in color from almost white to dark Pink. 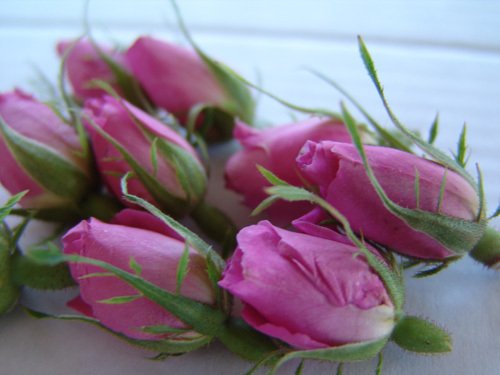 What is known as trading quality of this type of Rose is the PINK ROSE BUDS that is commercially cultivating in Iran, Bulgaria and Morocco. 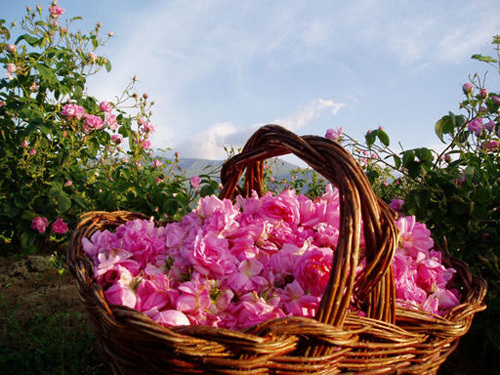 However, Iran is the biggest producer of this type of rose in the world. Damask rose is known as the national flower in Iran. Rosa Damascena from Iran is unique in the world. It is apt for human consumption and it has unique Aroma that cannot be found in any other types of the Roses in the world. The major cultivation area of this type of Rose in Iran is Shiraz and Kashan. The Rose is one of the most outstanding symbols of Islam.it symbolizes both Divine Beauty and Prophet Muhammad. "To smell a rose is a God-rewarded deed" is a well-known saying in the Muslim world, and shows the deeply-rooted traditional significance of the Rose. Offering Rose water during religious ceremonies became an indispensable ritual, and this ritual gave rise to the creation of some great pieces of art. Rose is a symbol of Sufism too. In Sufi thought, the Rose is the Queen of the garden and the mother of all plants. The exquisite beauty and purity of the flowers, connected soundly to a long and thorny branch, symbolizes the mystic path to Allah. The rose is also known as the flower of Heaven. An Iranian philosopher, Avicenna discovered the process for extracting Rose water from Rose petals in the early 11th century. Damascus Roses were introduced into England during the reign of Henry VIII and were frequently displayed and used at weddings and Festivals. Every year during the second half of May, an ancient Festival is being held in Kashan, Shiraz and surrounding areas where many people from different parts of the country and abroad have gathered to see flower-picking and process of extracting Rosewater. This special ceremony called GOLABGIRY and the tradition backed to more than 1000 years ago. 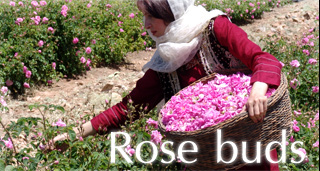 The commercial cultivating of the Rose damascene is the main job of thousands of farmers in parts of central and south parts of Iran. (SHIRAZ, KERMAN, KASHAN) The harvesting process starts at Jun and continue till July. This process is an extensive labor job. 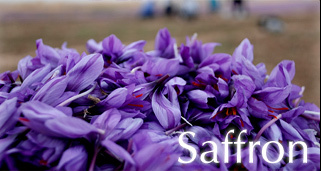 The flowers should be picked before sunrise by hand to preserve their unique fragrance. Members of each family gather together in the Rose gardens early in the morning to pick up the Pink Rose Buds and flowers before Sun rising. At this special time of the year, the scent of rose spreads over whole city. 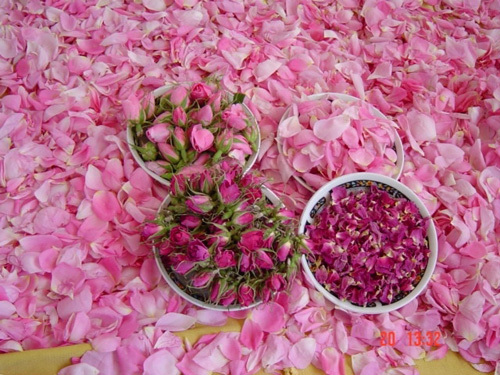 DARAB, (Located at 250 kilometers from shiraz) is the main production center for the highest quality of Pink Rose Buds as a result of its natural and climatic conditions. According to a study carried out by professors of Tehran University, the essence of Mohammadi flower of Darab and the subsequent Rosewater has a concentration of 35 mg per 100 ml or 350 ppm, which makes it the finest and highest quality rose water in the world.